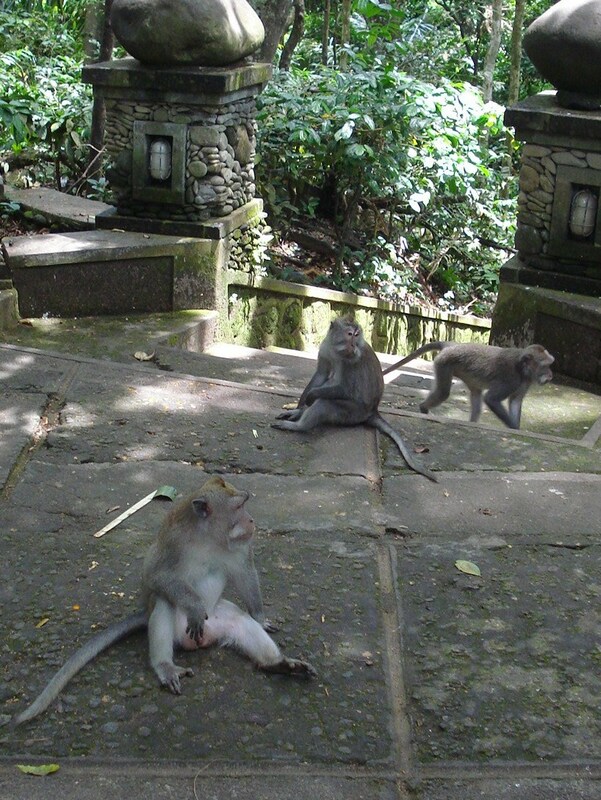 The Sacred Monkey Forest Ubud Sanctuary is a great place to see monkeys in a natural environment. 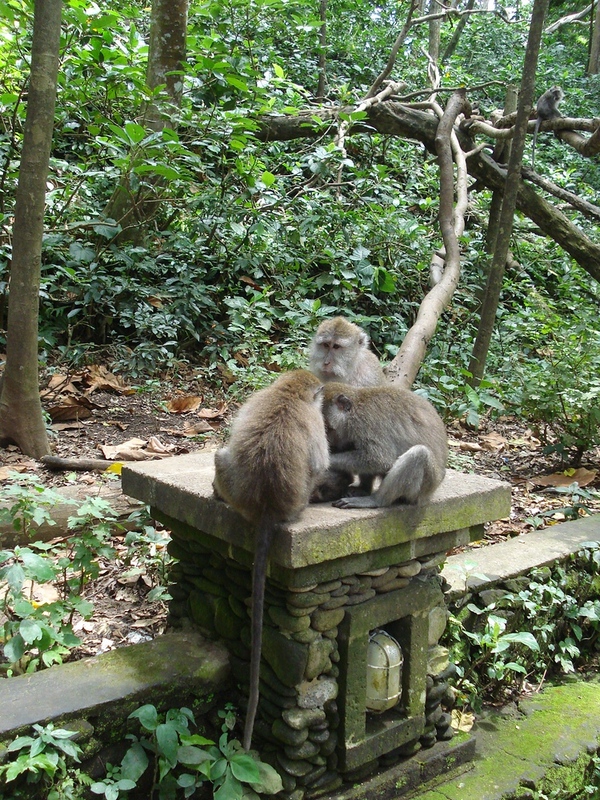 The sanctuary is south of the town at the end of the Monkey Forest Rd (Jl Wanara Wana). 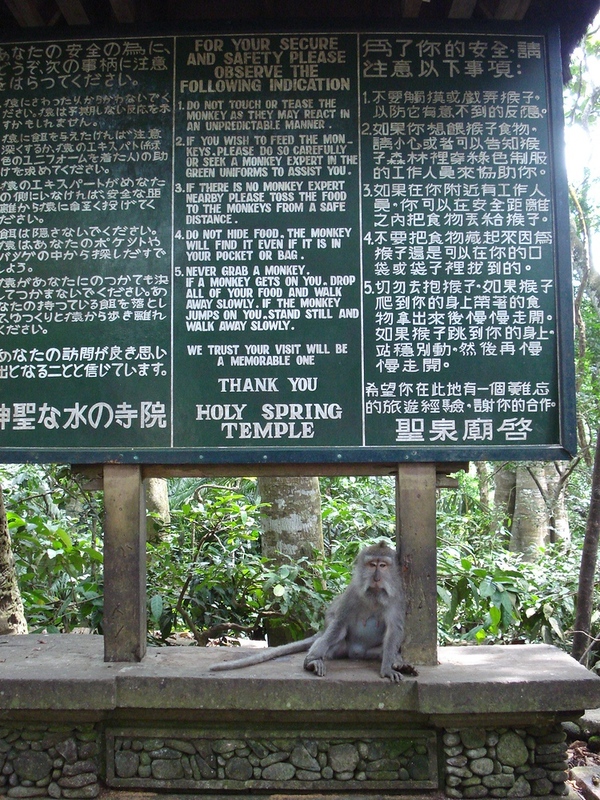 The sanctuary is set in a lush forest with temples, stone statues and hundreds of monkeys (Long-tailed Macaque, or Crab-eating Macaque as they are properly known). 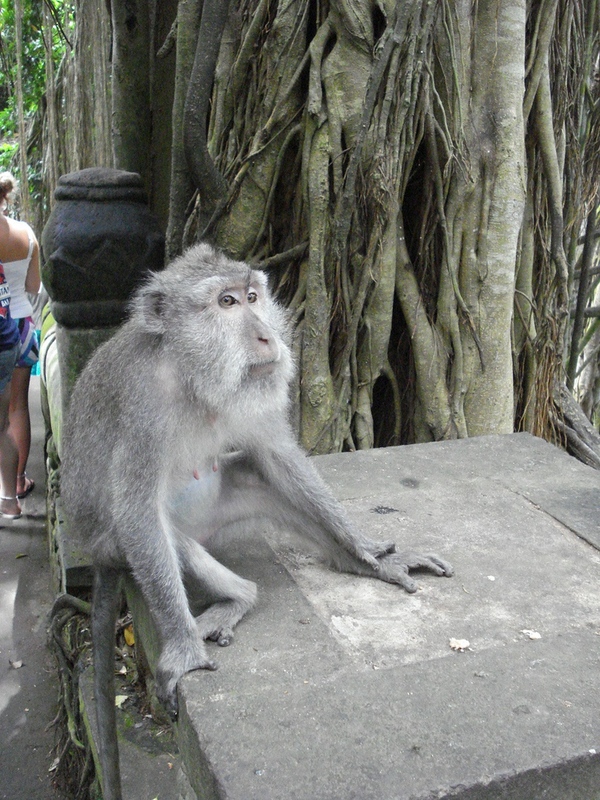 The monkeys are so accustomed to humans thats they generally ignore you when you walk by. The best way to get up close to the monkeys is with bananas, which are sold at the entry gate. The monkeys are not shy in accepting bananas and they will go for your bag if they think you are hiding bananas from them. Make sure you are holding onto anything loose as they may take off with that as well. When i went a few years ago, our guide for the day said to us that if we were afraid of the monkeys jumping on us then hand over any bananas we had. My mum kept hold of hers and a monkey run up her and sat on her shoulder!